Run through this 16-point conversion checklist to make sure your Landing Pages convert as many leads and sales as possible. 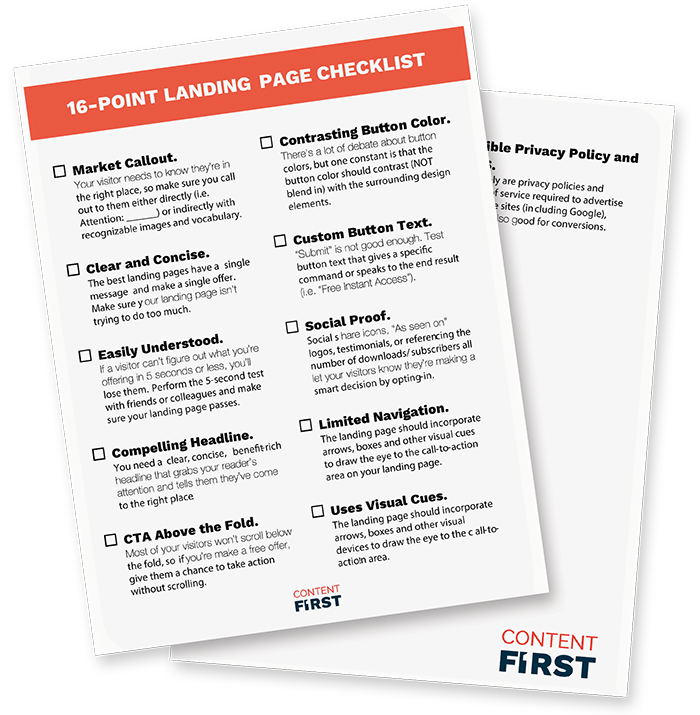 This checklist sums up the top conversion boosting insights that we've learn after more than 10 years running traffic to websites and landing pages. If you're running paid traffic campaigns, this is a check list you can't do without.